Well look at this Newcastle Roller Girls are treating you all to a Christmas delight, a DOUBLE headliner, thats two A team bouts for the price of one. On Saturday 15th December Hot Wheel Roller Derby return for some more action with the Canny Belters. After a close match last year, where the Belters came from 70 down at half time to win the game by five points, the rematch is one not to be missed! Venue: Gateshead Leisure Centre Alexandra Road, Gateshead, NE8 4JA. Doors open at : 2.30pm -Get there early to reserve one of those sought after suicide seats! 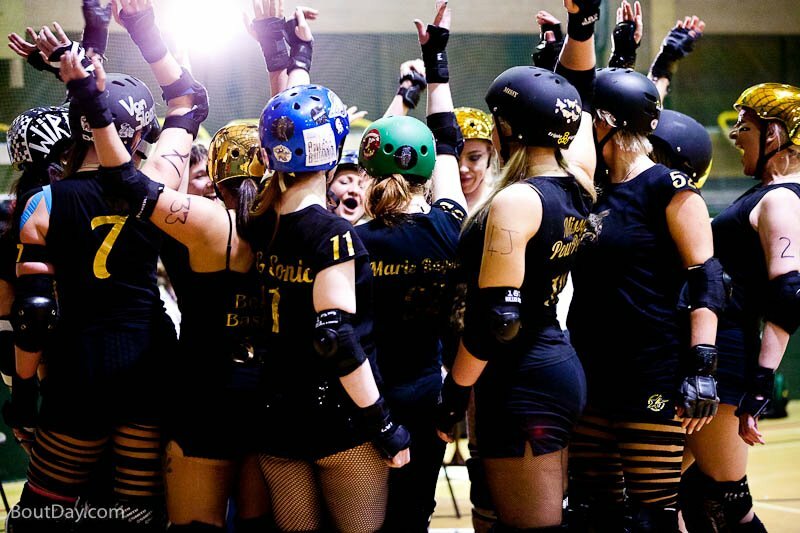 3.00pm – Canny Belters v Hot Wheel Roller Derby. Online tickets now finished, get your ticket on the door.